Tanzwuchs|freiburg is a format of tanznetz | freiburg, funded by TANZPAKT Stadt-Land-Bund. The project goal is to support the professional development of emerging local artists and provide them with a space for scenic research and encounter with an audience. We encourage young creators to take risks and to expose new ideas! In tanzwuchs|freiburg #2 different pieces with a maximum of 10 minutes are shown. They are connected through a curatorial and dramaturgical line. The pieces should be at the final stages of their creation process or should have been recently premiered. At the end of the evening, the audience will be invited to take part in an open talk with the artists. In addition there will be an exhibition (open on days of performances from 7 to 10 PM) in the theater foyer where different working processes are documented - drawings, photos, videos, objets, et al. 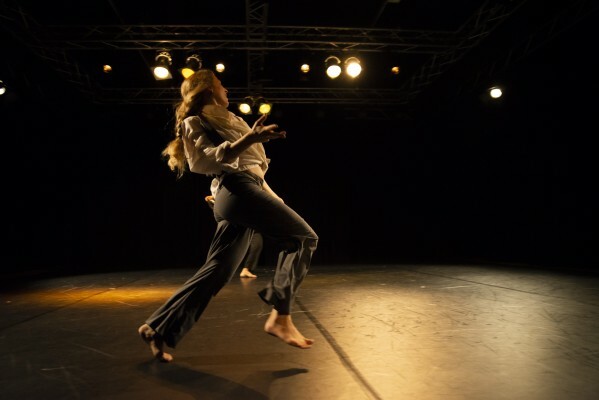 The tanzwuchs|freiburg team offers a choreographic and dramaturgic guidance! The stage of Südufer will be open for rehearsals from April 29 till May 09 from 09:00 AM to 10:00 PM. We will schedule group rehearsals of Works in Progress within this time and premiered pieces from May 6 until May 9. Light and sound rehearsals will take place on May 11. We can offer a symbolic payment of 150,- € per group. The performers will get a general videoshoot of one of the performances, professional photos from the general rehearsal and a promotion campaign through teasers, texts, web and social media. We also offer a free Workshop in Light Design with Sandra Blatterer on May 2 and 3, 2019! In order to apply please read our Open Call and sen us your proposal. Funded by TANZPAKT Stadt-Land-Bund with the support of the German Federal Government Commissioner for Culture and the Media.